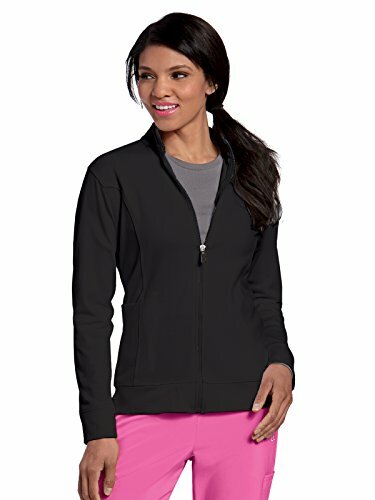 Save 1% on the Landau Urbane Performance 9872 Women's Empower P-Tech Warm-up Scrub Jacket Black L by Landau at W Jacket Outlet. Hurry! Limited time offer. Offer valid only while supplies last. A modern warm-up jacket that combines the function of performance fabric with an innovative personal electronic device (PED) cord management system.